Andis continues to grow globally. Almost 80 years ago Andis introduced products to Europe and today these products are available in 90 countries around the world. Barbers, stylists, groomers, and consumers everywhere continue to reach for Andis clippers, trimmers, dryers, blades, curling irons, and flat irons when they want to rely on top performing tools. 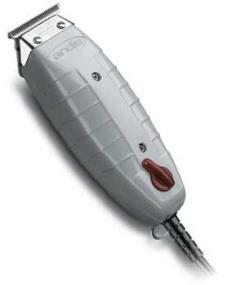 The Andis T-Outliner trimmer is equipped with a close-cutting T-Blade. The fine-cutting teeth allow for extremely close cutting that is ideal for fades and design work. The contoured housing fits comfortably in your hand and the heavy-duty eight-foot cord allows for plenty of room to work. 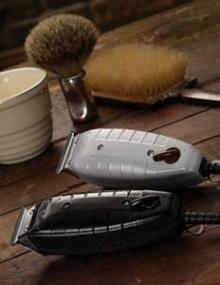 The high-speed, powerful magnetic motor runs cool and quiet assuring the comfort of your client. The high quality carbon-steel blades are specially hardened for long-life cutting. The T-Outliner is perfect for all-around outlining and fading and the T-Blade is ideal for trimming necks, beards, mustaches, and edging around ears. Designed and engineered in the United States, Andis also offers a complete line of quality clippers and trimmers for animal grooming as well as a full line of wall-mounted hair dryers for the hotel industry. Andis T-Outliner Trimmer Replacement Blade Set features high quality, carbon, and super fine tooth, steel blades that are perfect for outlining, shaping, and styling.